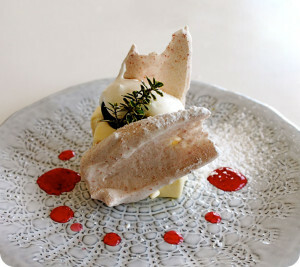 Patisserie Tomoko is one of the few Dessert places in the city to orchestrate a wonderful pairing of wines and Desserts. This cozy bar with just eight seats, surrounds an open kitchen area where the chefs work and serve customers directly. Three course Prix Fixe menu can best be described as a French presentation with Japanese and American influences. The course consists of an amuse, dessert of your choice and petits fours. We offer a select list of wines, coffee and teas. The menu provides suggestions for the best pairings for your desserts.